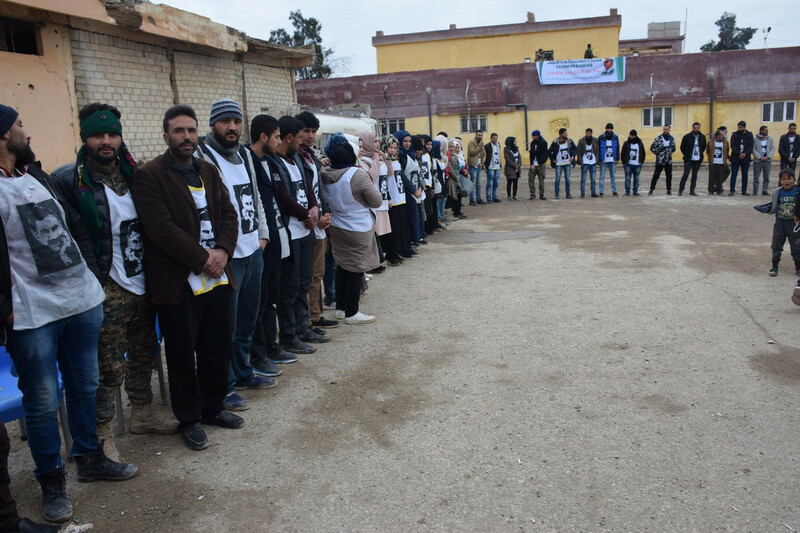 A hunger strike with hundreds of participants from Al Hol, Al Arish and Merkede has been launched in the Shaddadi district of Heseke. A hunger strike with hundreds of participants from Al-Hawl, Al Arish and Merkede has been launched in the Shaddadi district of Heseke to protest the isolation imposed upon Kurdish People’s Leader Abdullah Ocalan. Protesters put up Ocalan posters and a banner that reads, “No Neo Ottomans” in the tent set up for the action. Representatives from the four districts gave speeches during the demonstration and stressed that the Turkish state has been violating all international human rights laws in their attacks against the peoples and that there will be resistance. An activist named Mihemed Ebdul Xelef stressed that “Leader Ocalan has never taken any steps back in his struggle for freedom,” while another activist named Emel Mihemed said their actions will continue.